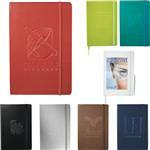 We love the new Mercury Notebook Set with a unique look and you will love the price! 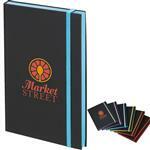 Spiral bound 70-page lined notebook with 2.0 mm thick solid metallic textured cover. Elastic pen strap, includes color coordinating Economy Stylus with black link and capacitive touch stylus. The pen imprint is not included in the price. 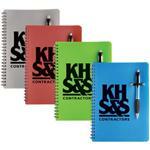 A great new look and perfect for conference gifts! 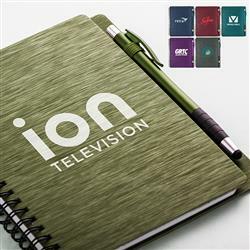 Spiral bound 70-page lined notebook with 2.0 mm thick solid metallic textured cover. Elastic pen strap, includes color coordinating Economy Stylus (PB5704) with black link and capacitive touch stylus.